In the past month, the baseball and softball teams got brand new, state-of-the-art scoreboards. 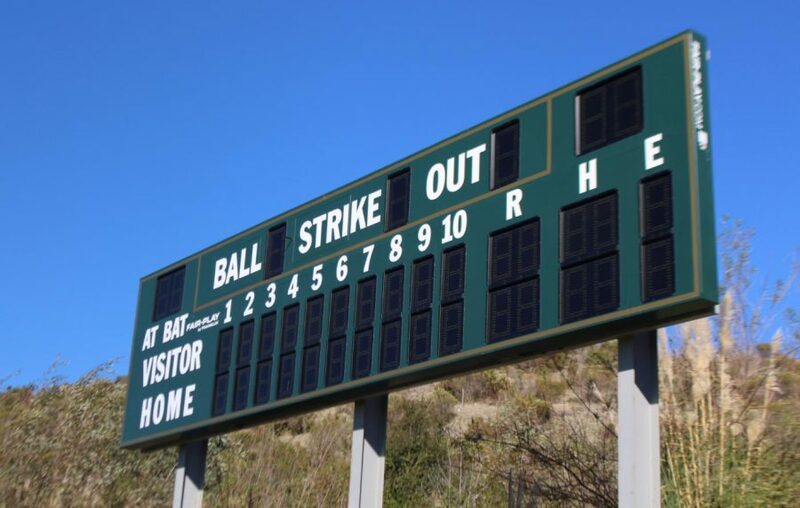 The scoreboards have many features ranging from the ability to display the full nine innings, to also displaying hits, strikes, balls, outs, errors, team names, and player numbers as compared to other scoreboards that just show the total score. The board can be controlled from the dugout. The scoreboards were purchased by Carlsbad Unified School District using central district funds. Ryan Madsen, the boys varsity coach, gave his opinion on how he felt about the new scoreboard and other additions to the field that most do not yet know about. “I appreciate what everyone is doing to help the baseball program, I feel the scoreboard gets as good as it gets, and was thinking about adding bleachers to the side, but other than that, I feel we got a pretty solid setup for our program,” Madsen said. Senior Zachary Thurman, varsity catcher for the baseball team, gave his opinion on how he felt about the new scoreboard. ¨I think it´s really awesome and I think it’s gonna help our baseball program out,” Thurman said. The scoreboard is only one of the new additions to the remodeling of the ballparks. There will be new bleachers, dugouts with benches and helmet cubbies, as well as additional storage space. Great article! Wonderfully written and edited.